Sun Devil Auto is the ideal alternative to the dealership, because we offer quality service on a budget. We are a complete auto repair shop, including transmission repairs. Our ASE certified technicians can handle anything from basic transmission repair services to complete replacements. Whether your transmission issues are big or small, our trained technicians can complete the services you need. Check Fluid Levels – Maintaining the proper transmission fluid level is vital to the longevity of your transmission. 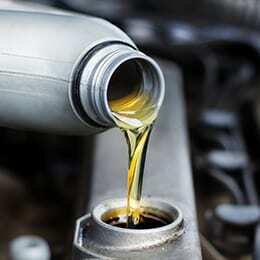 This fluid is the hydraulic fluid, coolant, and lubricant that helps your transmission run. It needs to be free of particles, clear, and odorless. Road Test – Through a road test, we check shift sequences, slipping, differences in operating ranges for gear selections, etc. We recommend and encourage you to complete the road test with our technician, so he can explain what’s happening with your transmission as he diagnoses it. 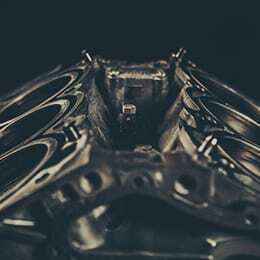 Perform an Engine Operation Test – An Auto technician will test for potential transmission-related problems. However, should your engine not be working properly, there will be a clear effect on the efficiency of your transmission. Whether you have a transmission-related issue or an engine problem, we’ll diagnose the issue in your vehicle. Check Axles, CV Joints, Boots and Other Potential Factors – Inspections may conclude that the problem is not within your transmission after all. Sometimes, it can be a minor fix that can easily be replaced. A universal joint (u-joint) sounds terrible and can shake a car when it fails, but is a simple part replacement. Similarly, CV joints and boots can do the same type of thing, although CV joints and boots cost a bit more to replace. Transmission related or not, our experts will find the real problem with your vehicle. Check Transmission and Engine Mounts – Sometimes, a failed mount will cause the transmission to move under power and will impact the shifting sequences of your transmission. Look for Leaks and Seeps – If your vehicle has bad seals or loose connections, there could be a significant loss of fluid. This could potentially drop levels so low that operation is affected. In most cases, this is a simple repair. Inspect Drive Shaft and Undercarriage – Having an expert evaluate the problem in your vehicle can pay off when a problem sounds or acts like something it’s not. This is especially true when moving parts in a vehicle cause problems that may seem like a transmission issue. Check All Linkages – Worn and damaged parts within the transmission can cause inconsistent performance while shifting, or impact computer and sequence processing. Inspect Cooling System Operation – Your vehicle’s cooling system keeps the temperature of your engine operating within a normal range. We also check to make sure your transmission is operating normally, at the correct operating temperature. Overheating can kill a transmission. 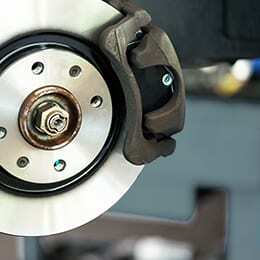 To prevent this, we also check all other bordering areas for leaks including brake cylinders, power steering, etc. Inspect Differential Operation – We look for evidence of bearing or gear noise and check for any leaks. Inspect Transmission Pan – We lower the transmission pan to check for excessive metal in the pan itself or in the filter. If we notice any broken metal parts in the pan, we look further into the internal parts of the transmission. 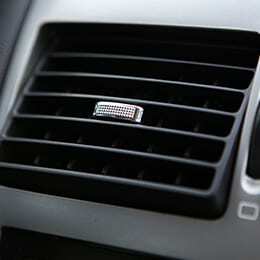 These metal parts can indicate that parts within the transmission will continue to worsen (or may have already failed). This can cause even more interior damage and increase your cost for repairs. Our technicians are expertly trained to diagnose the issue and recommend the best way to get your car back on the road. Plus, we guarantee our work in writing and we beat the rates that the dealership quotes. If a transmission rebuild is necessary, you can trust our trained technicians to complete the job as quickly as possible. We have been rebuilding transmissions in the Valley for nearly 4 decades. We also repair clutches in manual transmissions and differentials. If major repairs are required and your vehicle is not drivable, we will tow it to one of our many Phoenix locations free of charge. Contact us to request a pick up or schedule an appointment.